Admit it. We’ve all pined over a designer bag or considered investing in that pièce de résistance for our wardrobe, whether that comes in the silhouette of a $700 high-quality leather jacket or fancy red-soled shoes. Occasionally, we’ll even convince ourselves that the splurge could be a reasonable investment: we are celebrating after reaching a milestone and want to treat ourselves, or the item’s quality and craftsmanship means it will last for years and might even have resale value. Window shopping is cheap, so we can fantasize recklessly without incident, but rarely do we make the plunge and actually buy the item. I’m one of those people who makes those splurges more often than not. Dropping $800 on an Iro tweed jacket for work? Check. $1,000 Alexander Wang ankle boots? Check (but please do not tell my mom how much I paid for them under any circumstance). After almost a decade of periodic big purchases, I can confidently say that certain investment pieces are worthwhile if you’re planning to splurge. Designer footwear has lasted much longer than any pair of fast-fashion or mid-priced shoes I’ve purchased with the same frequency of use. Alternatively, my trusty $40 pair of Abercrombie jeans has outlasted two pairs of designer jeans, so I’d advise anyone to pass on premium denim. But I’ll save my trove of sartorial anecdotes for another day. What I really wanted to talk about was the glaring gap I’ve noticed in the conversation about how much designer items really cost. The cost of a $1,000 Burberry trench doesn’t end the moment you hand over $1,000 to the sales associate; the cost slowly climbs, and you might not even realize it. When you buy expensive pieces, you better do as the fabric care label says! I initially tried to “hack” all my fabric care instructions by snubbing the “Dry Clean Only” directive in favor of hand washing. It seemed like an ingenious way to save some money, until I ruined a few silk shirts (the silk’s sheen didn’t look the same, and the material felt coarser afterward) and shrunk a wool sweater (which I tried to stretch out via a YouTube tutorial to hilariously grim results). After that debacle, I reluctantly accepted that dry cleaning for the duration of that item’s wearable life wasn’t an expense I could skimp on. In other words, if it costs me $10 to dry clean a cashmere sweater, I do so three times a year, and I plan to wear this classic sweater for at least 8 years (I mean, why did I buy it if it’s not going to last?? ), I better be willing to pay an extra $240 for that sweater (barring the concept of the time-value of money). If you can’t fathom paying for all the dry cleaning that your dream wool coat or silk dress will incur in its lifetime, don’t buy it. As an aside, I actually spent double my annual dry cleaning budget because I wasn’t smart about the frequency with which I was going and didn’t shop around for prices. Dry cleaning costs vary by item, fabric, and store, but keep in mind that some cleaners will offer an introductory discount on your first visit. In order to get shoes to last longer, as well as to repair shoes whose heels or soles are worn down even though the leather is not (a typical issue you face when you wear high-quality shoes), cobbling is a necessary expense. Additionally, the bottoms of designer footwear are often made of wood rather than plastic or rubber, which means that you must proactively cobble your shoes after you buy them, as the wooden bottoms can otherwise be susceptible to water damage and irreversible damage from scratching against pavement or gravel. If you’re going to treat yourself to a luxurious item of clothing that you want to be seen in, it better fit right! Sometimes you can tailor pants or a dress yourself, depending on your deftness with a needle and thread, and can save yourself the $10 that it costs to hem pants or $20 to shorten and take in the waist of a dress. However, there may be other times that the piece you bought is so intricate or delicate that it’s best left to the professionals. This past summer, I bought a beautiful maxi skirt with complicated pleats and expert draping; there was no way any DIY amateur seamstress would have been able to hem it well, and the seamstress I visited even remarked that it was going to be a complicated task. I liked the skirt too much to not fork over the $60 needed to tailor the item to my 5’3” frame. With frequent or prolonged wear, things will undoubtedly tear, although hopefully not in a manner that can’t be fixed. The great thing about buying designer items is that the retailer or label will likely repair your item for free. I’ve had ballet flats repaired when a hole formed at the bottom of my heel about four months after I started wearing them and gotten my three-year-old handbag’s handle fixed when it ripped. It didn’t cost me a thing to send it in for repairs; even shipping charges were covered. 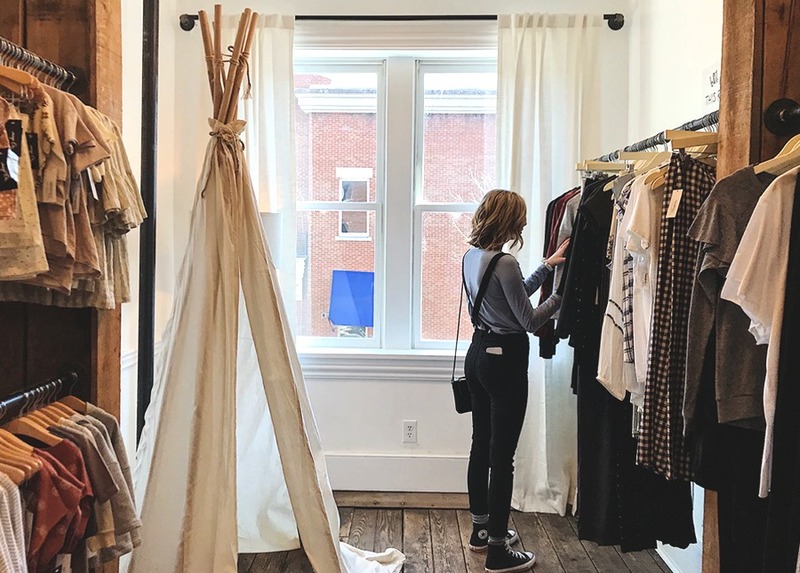 Of course, these repair policies vary by item and brand, so when you’re doing your research on a luxury item you’re thinking of buying, consider how the retailer handles repairs in addition to typical comparables like price. Cindy is an analytics professional who started getting serious about personal finance (and becoming a loyal TFD reader!) when she needed to save up for grad school. She enjoys writing code and recently started venturing into the art of freelance writing.